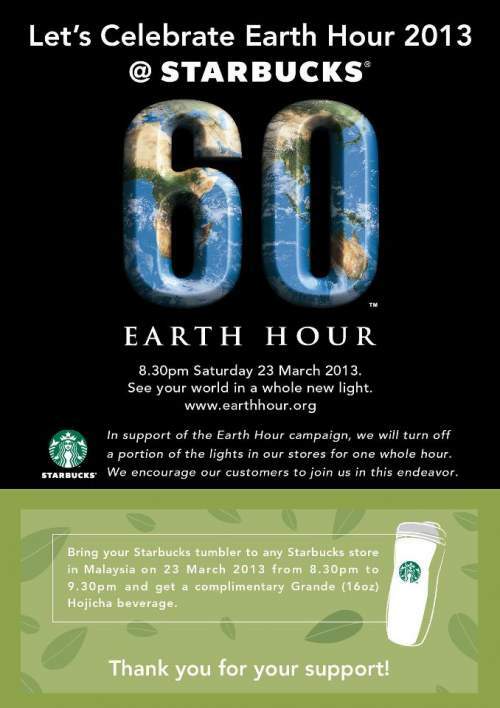 Let's Celebrate Earth Hour 2013 at Starbucks! Bring your Starbucks tumbler to any Starbucks store in Malaysia on 23rd March 2013 from 8:30pm to 9:30pm and get a complimentary Grande (16oz) Hojicha beverage! LIKE & SHARE out this freebies from Starbucks ya!